Since 2003, Zion Outback Safaris have taken hundreds of visitors on unforgettable journeys through the gorgeous Zion landscape. These Zion Jeep tours take visitors to areas of Zion that most tourists will never have the chance to see. Zion Outback Safaris has many different guides who are familiar with the area and can provide a fun and educational experience throughout the trip. Guests who decide to book one of the many available guided tours with Zion Outback Safaris are making the decision to see the wildest and most beautiful parts of the Zion area. See How You Can Save 10% Now! Unlike most activities in the area, like hiking and biking, which require strenuous activity to see the landscape, these guided tours will give passengers a break from grueling outdoor climbs and allow them to ride comfortably in a state of the art 4×4 vehicle. Where the adventure will begin depends on the type of tour that is taken. Some tours depart from a specified location, while others will pick passengers up at a place that is convenient for them. From there, a knowledgeable tour guide will drive guests along the rugged, red rock landscape. During each tour, guides will share interesting facts about the area with passengers and stop at the most picturesque viewpoints so that passengers can take stunning photos. An outdoor adventure with Zion Outback Safaris is the best way to see this incredible natural area. Unlike other touring companies, which only have routes on a few trails, Zion Outback Safaris has four different tour options that travel all the way to the Grand Canyon. 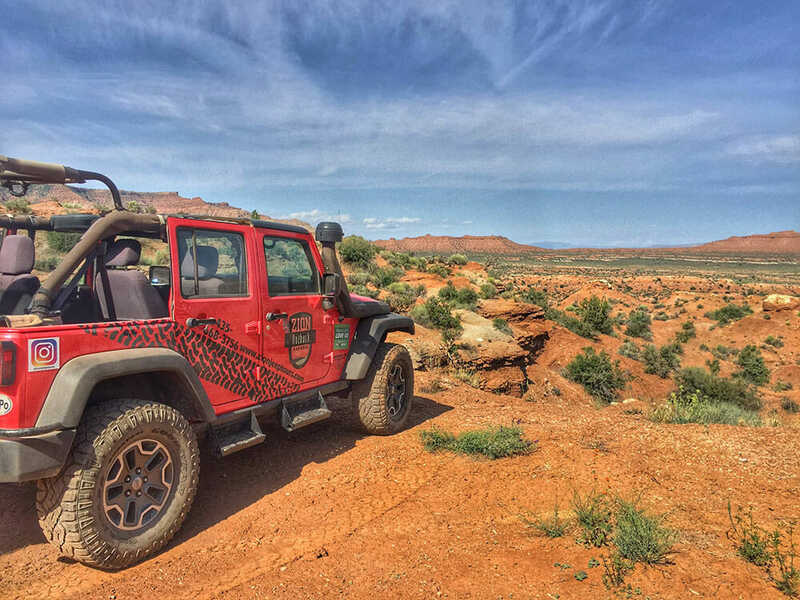 With these Jeep tours, visitors will get a more complete and in-depth look at the southern Utah landscape. 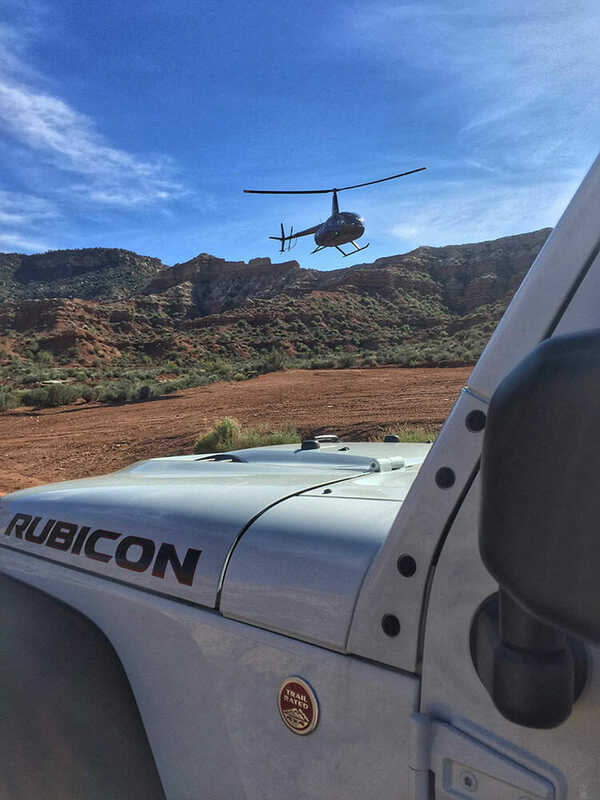 Whether taking a short group tour or enjoying a private tour that includes a helicopter ride, visitors will enjoy incredible experiences with Zion Outback Tours that can’t be found with other touring companies. This three-hour-long tour is the shortest tour offered by Zion Outback Safaris, but that doesn’t mean it isn’t exciting. This tour begins in Springdale and takes passengers on an incredible adventure in the backcountry near Zion National Park’s Kolob Terrace area. This tour travels along Hurricane Mesa, giving amazing views of the red rock landscape. While on this tour, passengers will see amazing views of red rock cliffs, plant and animal life, and Native American wall paintings. Guides will stop at the most scenic areas during the tour and passengers will have the chance to take as many photos as they like. The Mesa Vista tour is the perfect way to spend a few hours while visiting the Zion area. The private Jeep tours with Zion Outback Safaris are the most customizable tours available. Up to seven passengers will be picked up at the location that is most convenient to them in Springdale. From there, they will be taken to any one of the many approved touring areas that Zion Outback Safaris travels. Guests can choose to explore the Mesa Vista area or the Outback area. Both sections are on the outskirts of the park, so passengers will be riding along a landscape that is very similar to the inside of Zion National Park. Private Jeep tours are three hours long and passengers will have the opportunity to take incredible photographs, learn about the landscape, and enjoy the thrill of a ride in a 4×4 vehicle. When visiting Utah, many people choose to go a bit farther south to see the Grand Canyon. If guests visit the Grand Canyon the way most tourists do, they will find themselves among a sea of other tourists trying to take pictures at this popular natural formation. Guests who choose to have Zion Outback Safaris take them to the Grand Canyon will be able to avoid these crowds and have a unique and relaxing experience at the Grand Canyon. Up to four adults can enjoy the once in a lifetime experience of viewing the Grand Canyon in peaceful serenity. It takes approximately three and a half hours to reach the Grand Canyon, then visitors can take some time to explore the Tuweep section of the canyon’s rim. After they are done exploring, they will be driven back to their desired location, making the total trip time for this tour approximately nine hours. In addition to the experience of seeing the Grand Canyon without the crowds, passengers will get to see beautiful sights, gain a wealth of information about the land from their guides, and connect with nature on their way to and from the Grand Canyon. It’s undeniable that every viewpoint in the Zion area is absolutely stunning, but viewing the area from the sky is even more magical than any viewpoint could be. With the Zion 360 Tour, guests will start their tour among the red rock landscape in a custom-built Jeep. 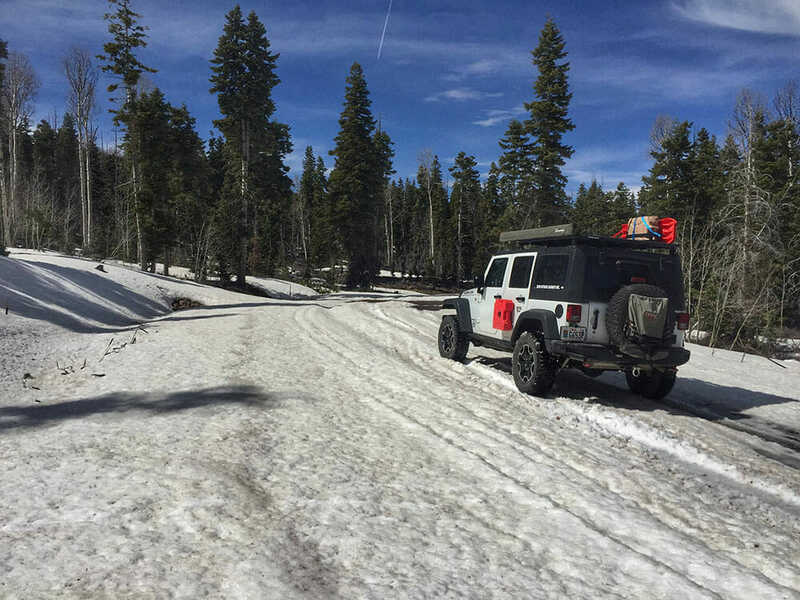 The Jeep portion of the trip will lead passengers along trails in the Zion Outback. In this rugged section of southern Utah, guests won’t have to worry about crowds and tourist traps. They will instead be able to focus on the beauty of nature and the thrilling adventure that lies ahead. Unlike the other Zion Outback Safaris tours, this journey doesn’t end with a Jeep excursion. After the first portion of the Jeep tour, a comfortable, climate-controlled helicopter awaits guests. This portion of the tour takes passengers high above the Zion landscape and circles around the entire park. Guests will see all the most beautiful sights of Zion, like red rock formations, cliffs, and vast, open land from thousands of feet above the ground. During the flight, the pilot will share information about the area with guests, or the mute feature can be used on the headset to allow guests to have private conversations. Every aspect of the Zion 360 Tour is designed to give visitors an accommodating, comfortable, and exciting experience while discovering the gorgeous southern Utah area. When visiting Zion, there is no better adventure than an excursion with Zion Outback Safaris. 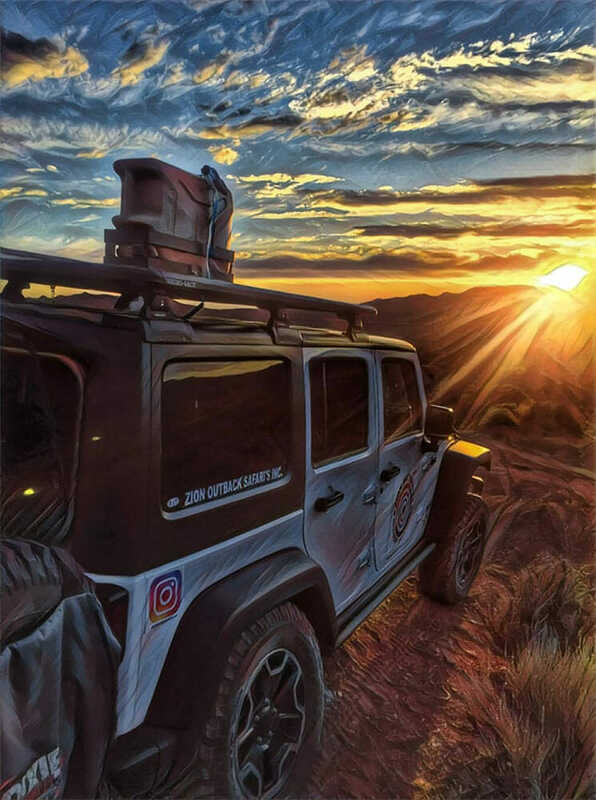 All of the Zion Jeep tours are created to make sure that visitors get the most authentic and exciting experience possible. Passengers will spend their journey learning about the land, seeing the beautiful, natural sights, and experiencing parts of Zion that most people will never have the chance to enjoy. Guests who want to participate in an unforgettable journey while in Zion must book an outdoor adventure with Zion Outback Safaris.